The Wadesboro Fire Department has started a Fire Hydrant adoption program for the hydrants in the Uptown area. The purpose is to help beautify our Uptown. Special thanks to the Anson New Tech students who came up with this idea. This program would involve an organization or a citizen picking a hydrant(s) to adopt, they would then present their proposal for painting or decorating hydrant to the Fire Chief or his designee. The possible designs should be in good taste and family friendly. The only cost to adopt a hydrant would be the paint used to decorate it. The adoption period would be a minimum of 1 year, longer if they desire. - Do not obstruct the three foot (3’) clearance around the hydrant to insure access during emergencies. - Nothing can be attached to the hydrant. 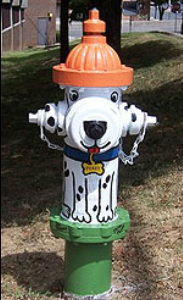 - The paint used to decorate the hydrant must be high quality, high gloss exterior enamel. - Hydrant attire must be in good taste and family friendly, no advertisement. - The Fire Chief or his designee must approve all designs before painting. - Any touch up or repainting shall be done by the adopter during the adoption period. - Further rules can be added as the Fire Chief or his designee deems it needed. 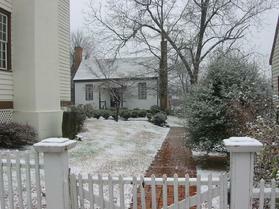 Adoption forms will be available at City Hall and the Wadesboro Fire Department. To download a printable form, click on the link in the left column. PLEASE NOTE: At this time, there are no fire hydrants available but the Town is accepting Adoption Forms for next year's adoptions.